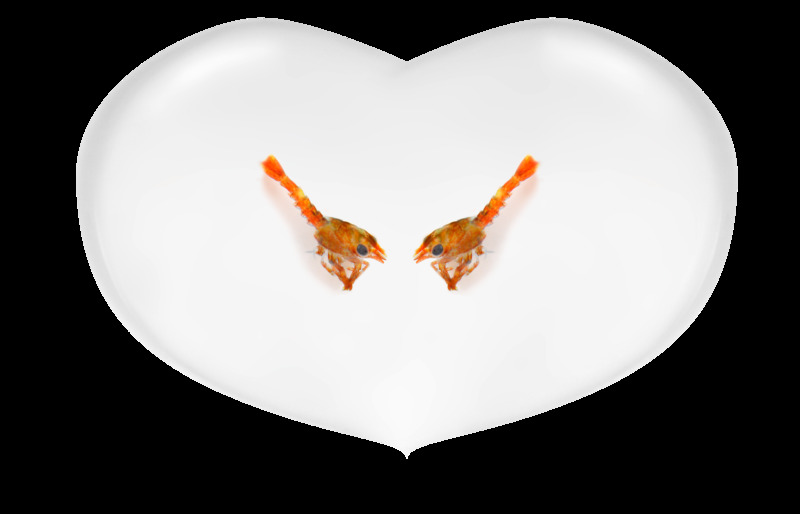 Lobster Sweethearts Adopt a Lobster package to adopt two lobsters. 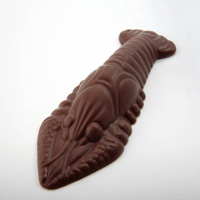 You also receive a chunky Chocolate Lobster each! Please specify the names of the adopters you would like to see on the certificate (both names if it's for a couple). 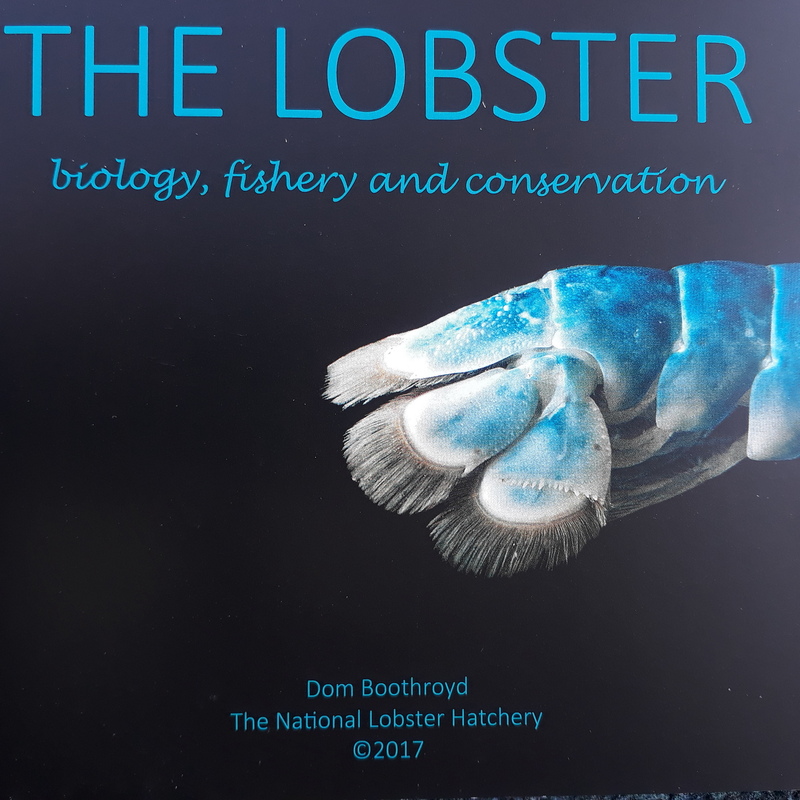 Add our 'The Lobster' book to your adoption for just £1.50 to learn more about your new little ones and their future! For an extra special gift, you could include a red and blue fluffy lobster with your sweetheart certificate. 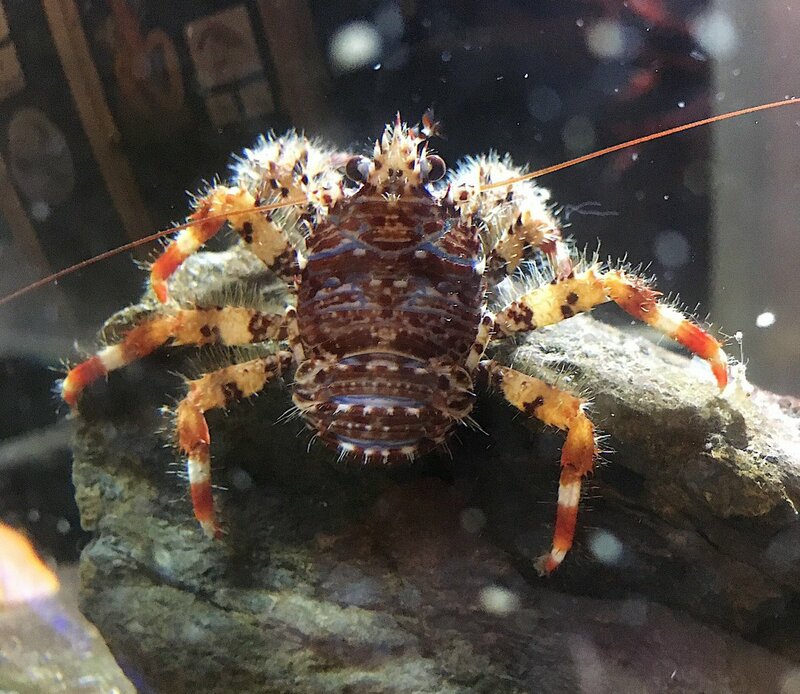 If you have arrived at this page without any prior knowledge of Adopt a Lobster or the National Lobster Hatchery charity then please feel free to read about our marine conservation, research and education work on our website. 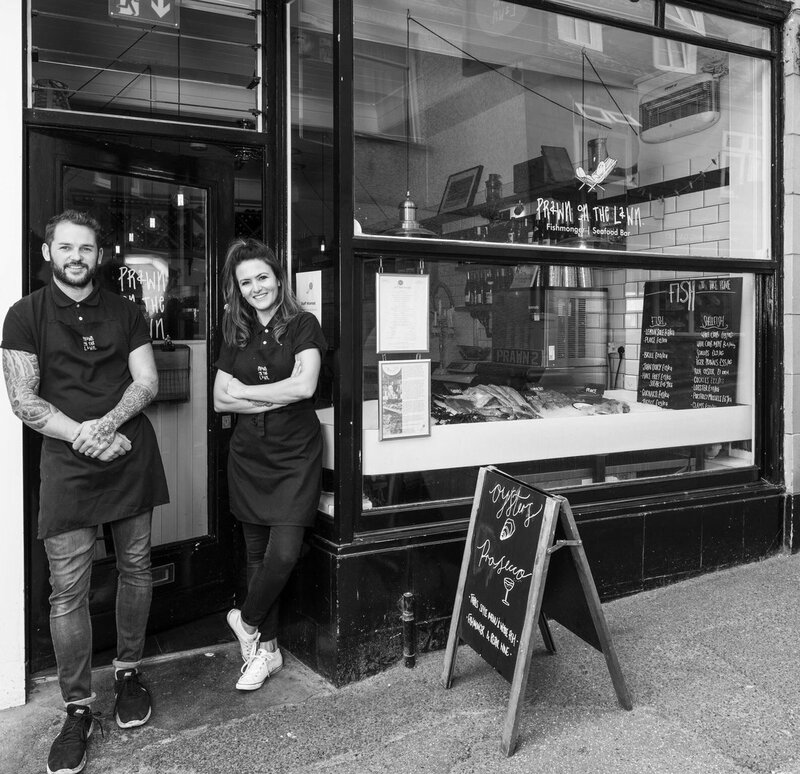 The home page is a good start but you may find the following pages of interest What's it all about, Marine Conservation and the Lobster release page which is where your adoption information will be published and you can find out where and when your lobster was released. 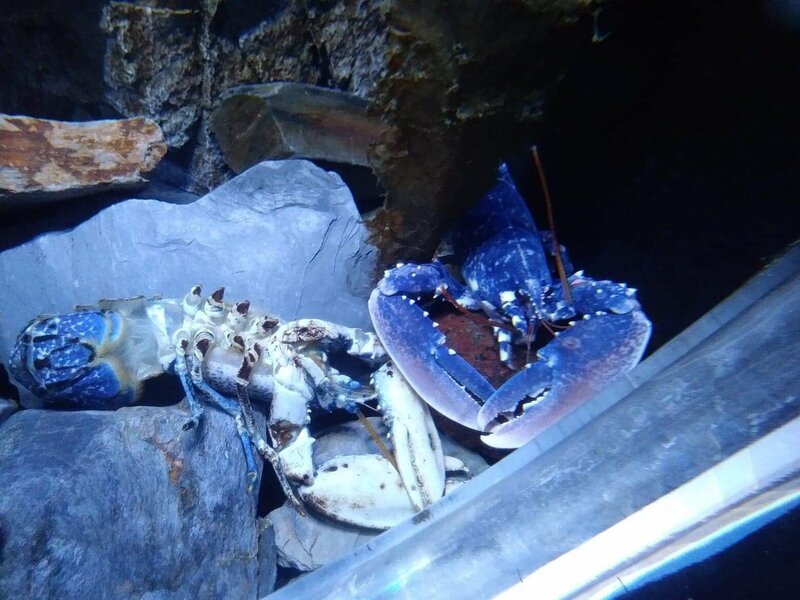 There is a lovely video of a dive release and information about the growth your lobster needs to undergo before he or she is released back into the wild. 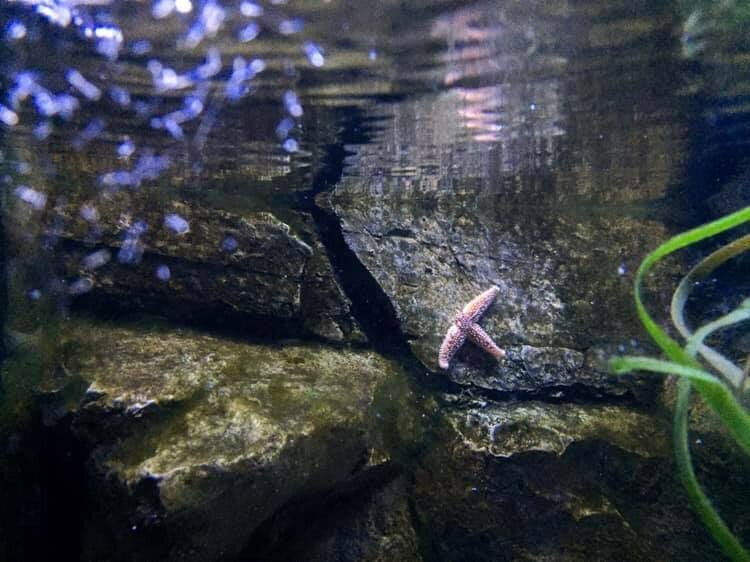 Good luck little lobsters! 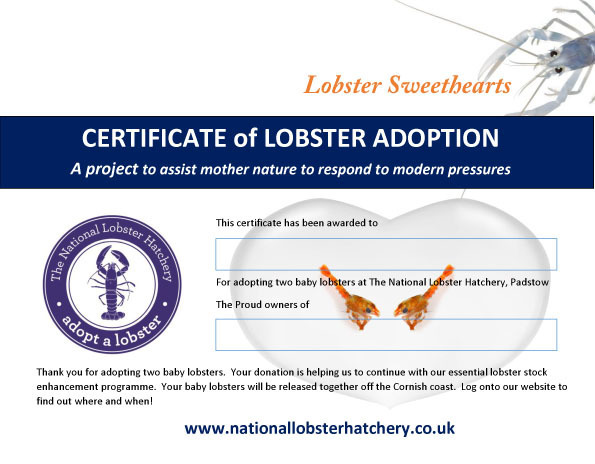 Your £8 donation goes towards the costs of raising and releasing 2 lobsters back into the wild. 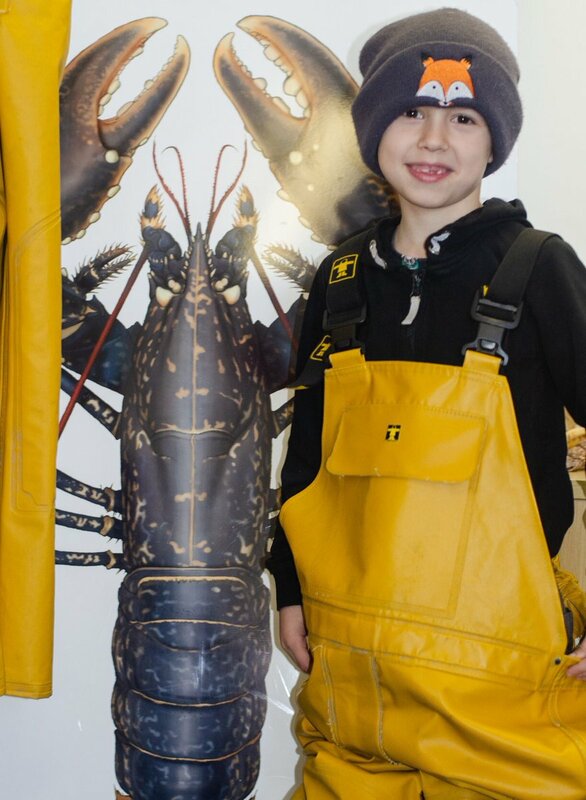 Thank you for supporting the charitable work of the National Lobster Hatchery. If you are a UK tax payer and you agree, the government will give us an extra 25% on top of your donation. Gift Aid is reclaimed by the charity from the tax you pay for the current tax year. Your address is needed to identify you as a current UK taxpayer. Gift Aid Declaration Statement for a single donation. Please tick the box if this applies. 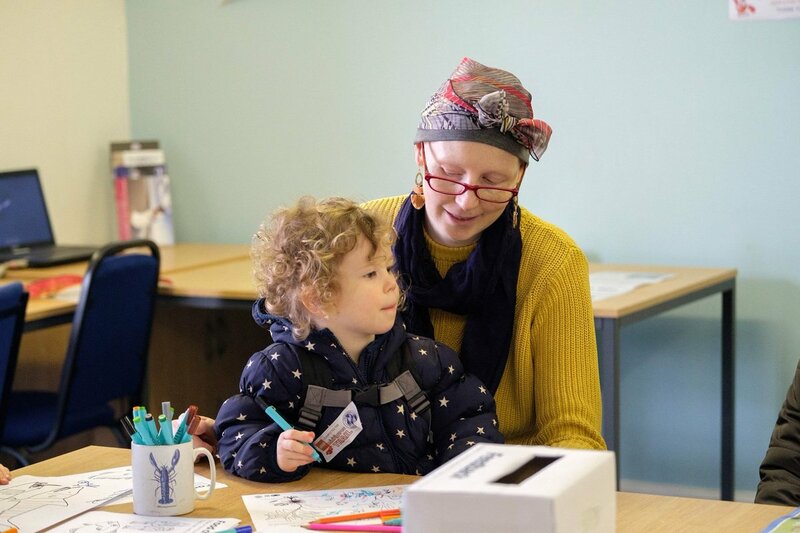 I am a UK taxpayer and understand that if I pay less Income Tax and/or Capital Gains Tax in the current tax year than the amount of Gift Aid claimed on all my donations it is my responsibility to pay any difference. We cannot claim gift aid on gifted items. Why can I only gift aid £8 rather than the full cost of the hamper? You can only gift aid on items that are classed as a donation, so this could be for an adoption or on admissions. Unfortunately you can not gift aid products.